Wader Quest: It's all go in Wader Conservation November! 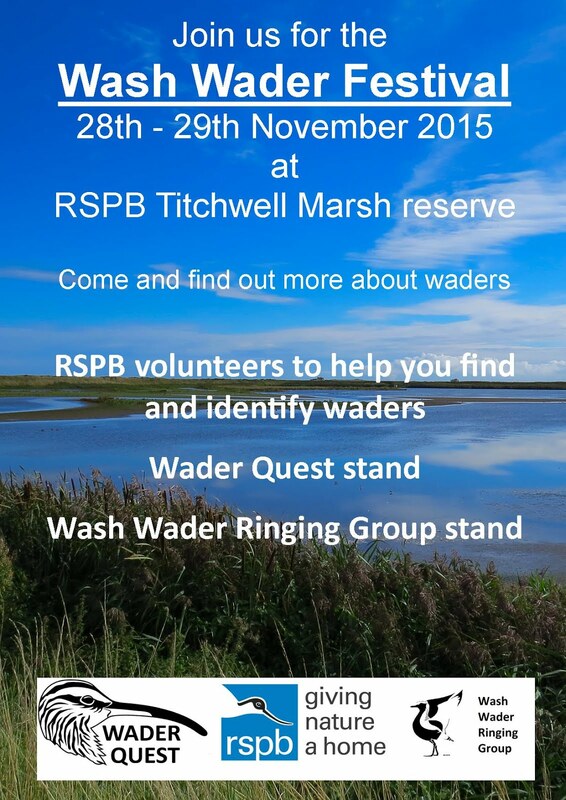 It's all go in Wader Conservation November! We are still trying to get the statistics organised to write a report for the Wader Conservation World Watch. If you joined in there will be a summary coming out soon. 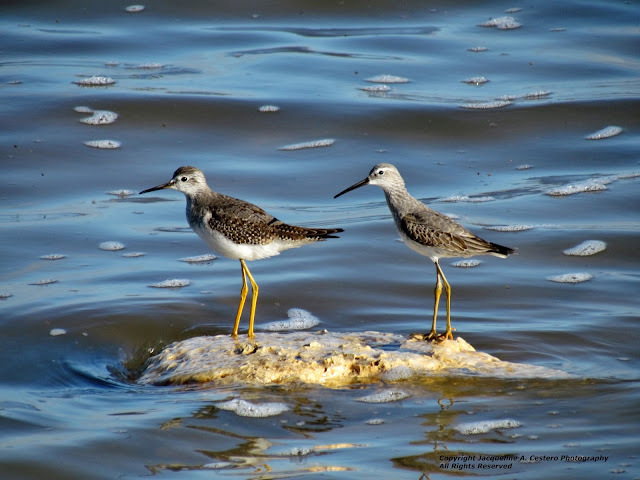 Lesser Yellowlegs and Stilt Sandpiper which was only reported from Angüilla. Photo Jackie Cestero. In the meantime we have had the Wirral Wader Festival that passed off without a hitch except for the brutal weather and the even more brutal weather forecasters! A wet and windswept Hoylake Promenade during the Wirral Wader Festival. Photo: Sheila Ryde. One of the results from the festival was the fantastic entries to the children's painting competition. This weekend at the WWT Martin Mere Northwest Birdwatching Festival we displayed all the pictures that were produced by the children at the Wirral festival with the winners displayed on boards between our stand and that of the Dee Estuary Voluntary Wardens and Wirral Rangers. Wader Quest stand and competition display. Prize winners Saturday 14th 11+ age group. Prize winners Saturday 14th under 11 age group. Prize winners Sunday 15th 11+ age group. Prize winners Sunday 15th under 11 age group. This is the third year that we have attended this friendly and enjoyable event meeting many old friends and of course seeing our partners in crime from the Wirral Wader Festival as mentioned. The Wader Quest Stand before the event opened. We did OK with sales and one or two sign-ups and also some renewals from those that joined us last year at Martin Mere. We were also able to present one of our Friends of Wader Quest Inge Bristow with her raffle prize from the Wirral Wader Festival. Elis only got to watch one talk this year and that was given by Iolo WIlliams which she thoroughly enjoyed telling me that it was informative and entertaining in equal measure. Iolo Williams enthusiastically extolling the virtues of Welsh Wildlife. In a quiet moment (while Iolo was giving his talk it was like the Marie Celeste away from the lecture theatre) I sketched this Northern Lapwing to while away the time. Northern Lapwing. A doodle by Rick Simpson. Now we have to prepare for the Wash Wader Festival next weekend. As I said, it's all go! !